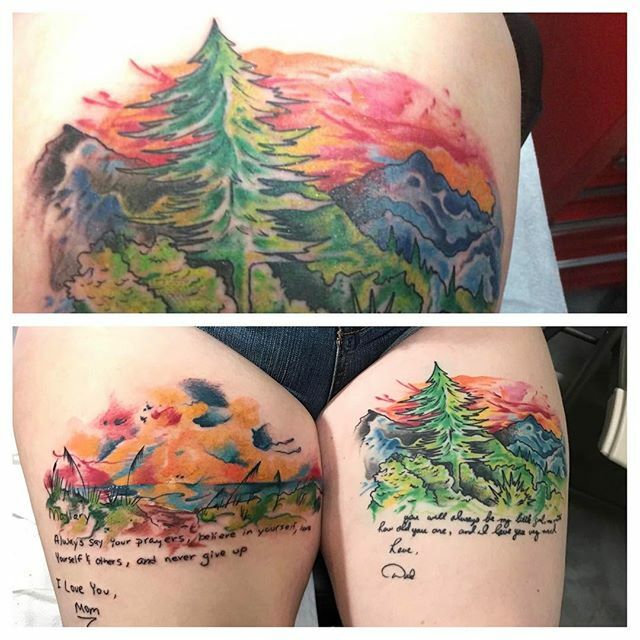 What Is A Watercolor Tattoo? 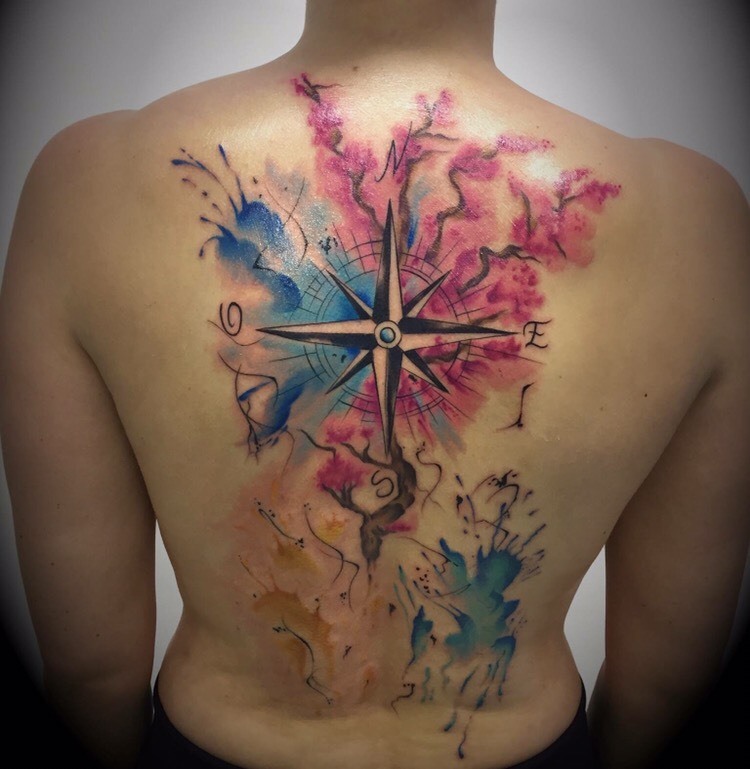 A watercolor tattoo is very similar to black and grey tattoos, in that that they both utilize a single needle throughout the application process. The big differences between the two styles comes down the use of color and the amount of water used while applying the ink. 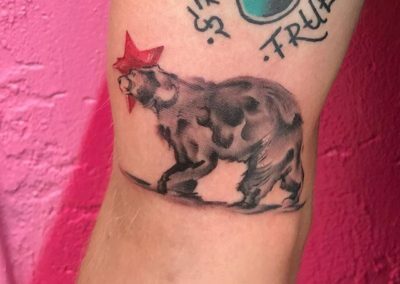 Our crew of artists have a reputation for being some of the best watercolor tattoo artist in San Diego because of their detailed understanding of this style, and love to imprint this expressive style and it’s artistic nuances onto the canvas area of your choosing. 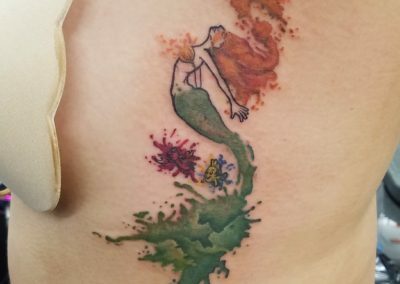 How Are Watercolor Tattoos Created? These incredible works of art are considered a “newer” technique and style of body art, but have remained one of the most popular since their initiation. For those that do not know, the lighter colored ink used to birth these designs are created from distilling, and watering down standard color ink to make it appear lighter. Artists often utilize white and black ink to create the darker shades of the grey, which is known as grey wash, that require a more careful and slower application and also function as incredible hues of contrast to bring the tattoos to life. Not only does it make the contours pop, but it also establishes a more durable presence for the wearer as the body art tends to blur over time without integrating solid black tones. Due to the lack of the dark ink, the light colors have the tendency to to fade quicker than standard tattoos. The main differences between watercolor and traditional tattoos are that the artist will use gradation techniques that make the body resemble an actual watercolor portrait and that they lack the black outline that you will often find in black and grey tattoos. Through the careful watering down of colors, the artist will bleed, fade, blur, shade and splatter these colors onto the skin just as we do with paper-based art. Remember: Grey washing techniques are known to look slightly darker than when they heal, so there is no skin tone in a realistic portrait if done properly. A special grey wash ink recipe is: vodka, propylene glycol, glycerin, and black pigment. 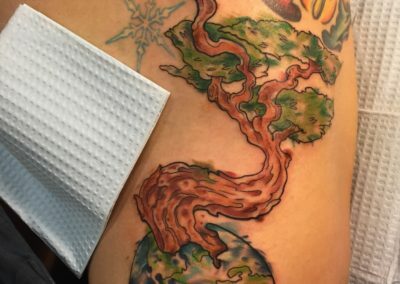 Due to the fact that most watercolor tattoos will primarily consist of colors, the thickness of these hues tends to not to last as long as thick, black tints in the traditional tattoos. 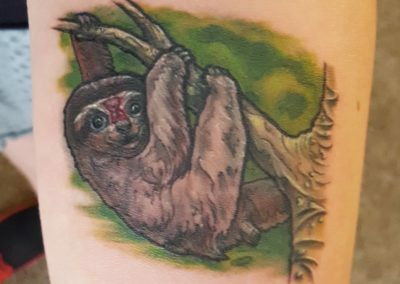 So, keep in mind that you will need to maintain a watercolor tattoo more frequently than you would with a more traditional style. 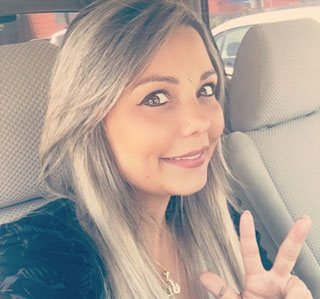 Our first step of this careful process, of course, is to meet with you and get a good feel for what design you are seeking. 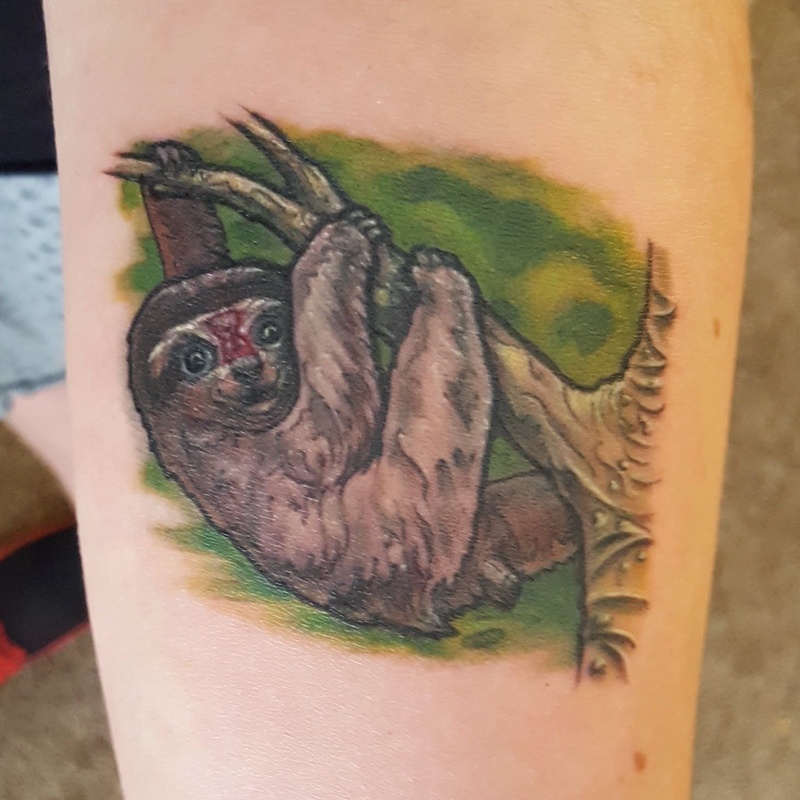 When it comes to choosing your artist for a watercolor tattoo, we are picky in the way we analyze the various techniques of our artists and select who will be able apply your vision in the best way. Once you have chosen a design and have the best tattoo artist working with you, you are all set. All that is left is scheduling an appointment to get your new watercolor body art. Once the skin has been moisturized properly with lubricant to enhance the application process, we will be ready to begin. Depending on the lightness of the illustration and the way you want it to appear, we will dip the needle into the ink and then into sterile water to lighten the hue. Depending on the artist and their unique style, they will either have the grey wash already prepared for you or they will create the variation in color as they glide along the contours of the design. 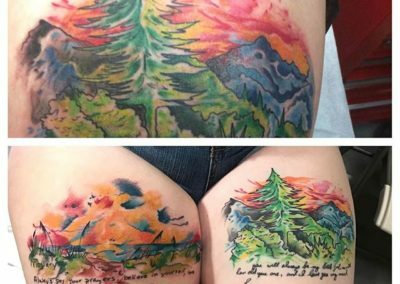 Now, instead of the way that you see the needle go into the skin with grey and black tattoos, watercolor designs require a tilted access that moves more like a paintbrush achieving brush strokes rather than what you get with a pen. When the artist comes across darker shaded areas on the skin, they will move the needle slower as to gradient that area with more ink depth, and, of course, the opposite with the lighter areas. With each brush stroke, the artist will wipe away the excess ink to keep the shading into perspective and the area clearer to concentrate on. Depending on the artist, different techniques can be used but if you are receiving a facial portrait in watercolor, it is most likely best to start with the colored outlines and shades and then move to the darker ones. Although some will choose to start with the darker, grey-like shades based on the design itself, again, it will all depend on the artist particular style. If they choose to utilize the first method with the colored shades first, they will go back and tighten smaller details of the portrait when the shading is finished. Finally, they will use a small round liner to stroke in the darkest shaded areas. This important technique allows the portrait to pop even more and will bring a more realistic and lifelike feel to the design. 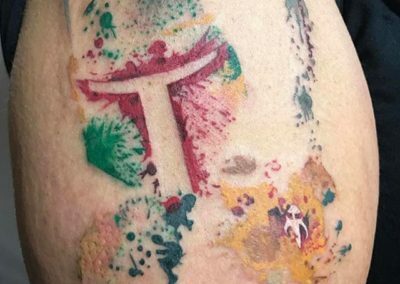 Bleeding and blending these beautiful colors throughout the process is majorly important to being able to distinguish a tattoo as watercolor compared to other styles. 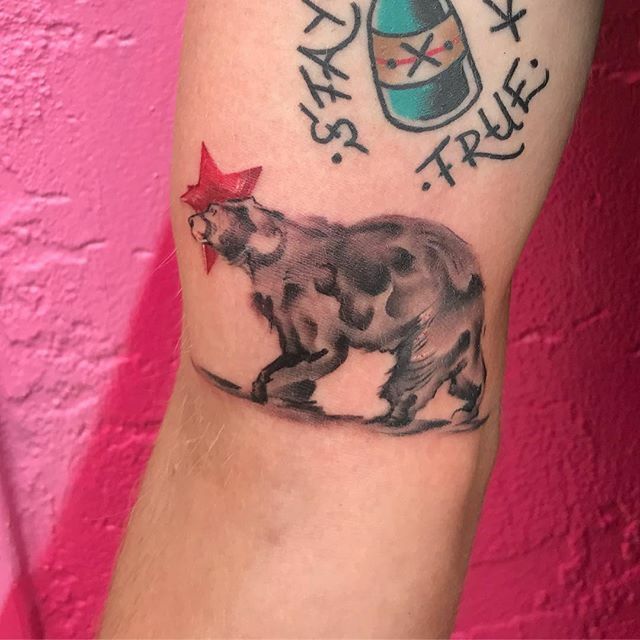 We like to think of watercolor tattoos as a very artistic and creative style that takes years to develop proper technique and skill. 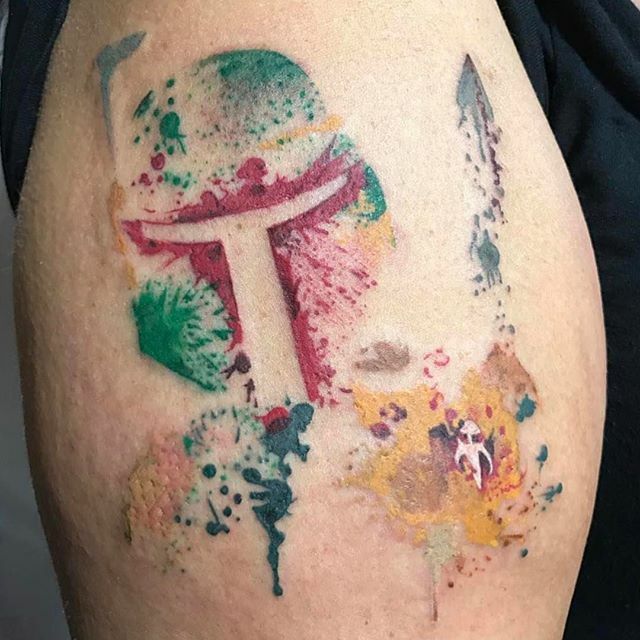 These designs are known to lack filled-in-lines and defined shapes like traditional tattoo, so this style allows for more artist vision with the techniques mentioned above: splatters, bleeds, blends, runs, fades and shades. Most times if there is any black sought for pieces of the tattoo, the artist will use these darker shades to outline where the bleeds, splatters, blends and shades will go loosely. Although watching an artist perform one of these impressive works of art doesn’t at first appear complicated, these are very intricate designs to carry out onto the skin. 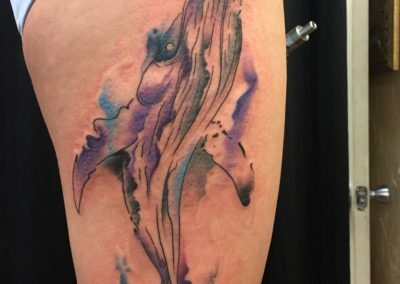 Just as we mentioned earlier that watercolor tattoos have a reputation of fading quicker, the duration of the tattoo is also determined by the techniques, tools, and talent coming from your artist. A great artist, like the ones we are lucky enough to have on our team and visiting our Guesthouse, will be able to reduce the need to have these maintained and fixed when the colors eventually fade. 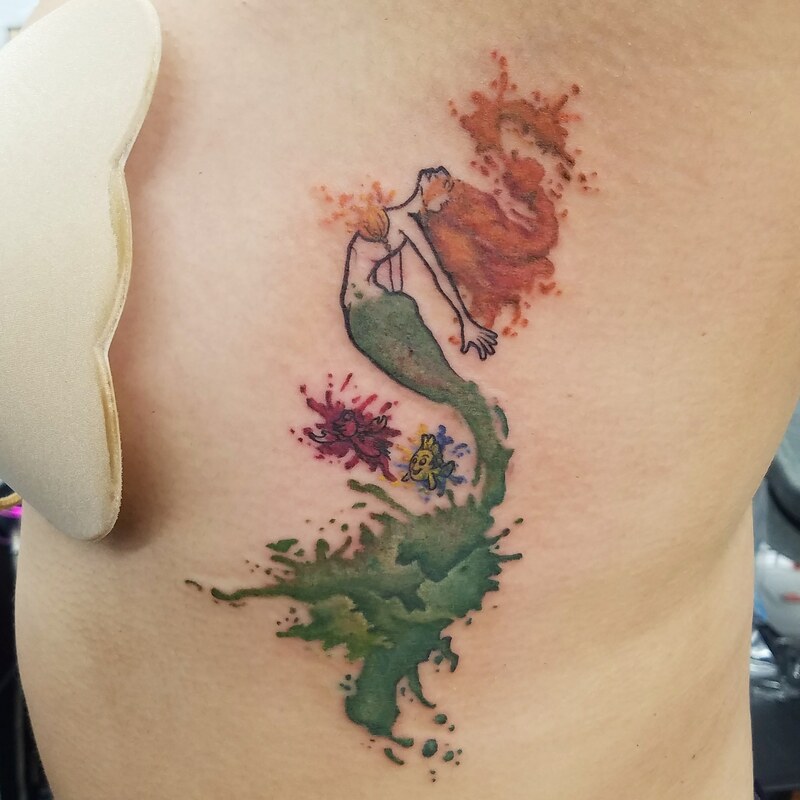 When providing watercolor tattoos, we think of ourselves as copy machines that are able to apply every inch of color, shade, and light to the tattoo just as the original image contains. Although we are artists in every sense of the word, we never implement what we see as the reality of your vision based off of what we want the design to look like. We are here to serve you as you see fit, so it is best to be as clear as possible with us when it comes to the details of the tattoo. However, every artist has their own unique tattoo style based off of your vision, so determining the right artist that will bring what you want is also vital to the process. This is exactly why we love to meet with clients at least a few times before actually building the artwork to ensure that everything will be to your liking. Much like for the black and grey, a major key to creating a realistic portrait in the watercolor ink is the proper use of the white highlight hue; when done correctly this color has the ability to actually bring the image to life with incredible and realistic qualities. However, if done improperly it can detract from the lifelikeness of the design significantly and wash out the skin. We highly recommend requesting human faces or body designs with contours and curvatures in black and grey ink over the watercolor style. However, we are here to give you the ink of your dreams so we are more than happy to provide these in color. These incredible shading techniques can be done on anything non-body or facial related from flowers to a portrait of your favorite book. As mentioned above, it is imperative that you choose a great quality photo or image for the artist to create from; if the quality of the image is not up to par, you risk losing quality on something that will be a part of you for the rest of your life. So often we see tattered images brought in that are almost impossible to implement onto the skin, and although we understand that these are sentimental and close to your heart, it will determine the way your tattoo will be able to be delivered. Even our artists, known as the best watercolor artists in San Diego and Pacific Beach, can only work with what they have in front of them. When choosing an image of a face from a photo, we recommend that you get the image of the face professionally blown up before coming in to book a consultation. When zooming into an image on a standard computer or with our scanner, the quality of pixels will decrease which will make it harder for the artist to implement the details of the face onto your skin. If you are insistent on choosing an image that can be not remastered in any way, we can still deliver the service but know that the quality of the tattoo will decrease over time as the pigments will inevitably blend together. 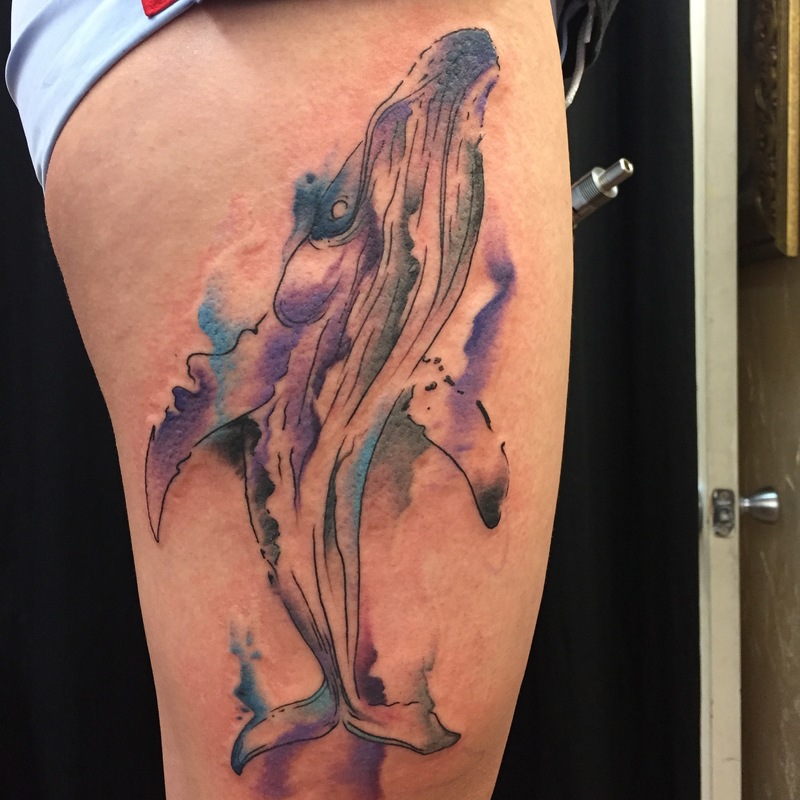 Now, most times we will see an abstract image chosen for a watercolor marking, an animal, flowers, or birds as the blending and splattering of these choices seem to speak the most to tattoo lovers. Our favorite part about this particular style? The ideas that are brought into us bursting with creativity, expression, and color. Somehow, with our talented team, we can take a canvas of skin and turn it into an alive work of art that seems to be yearning to reach several parts of the body. It really is our favorite thing in the world to create one of these designs that represents who you are, who you want to be, where you want to go, or even a symbol of a loved one. 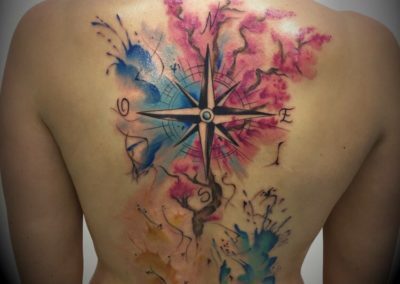 With artistic talent also comes vision, so if you are in search of a watercolor tattoo near you and you’re not sure what to get, we can definitely help! We have done it all over the years from celebrity faces, intricate religious drawings, floral compositions, ironically lifelike skulls, beautiful and majestic animal portraits and more! We, of course, always suggest that the design be meaningful and purposeful as you will be wearing it for quite some time. 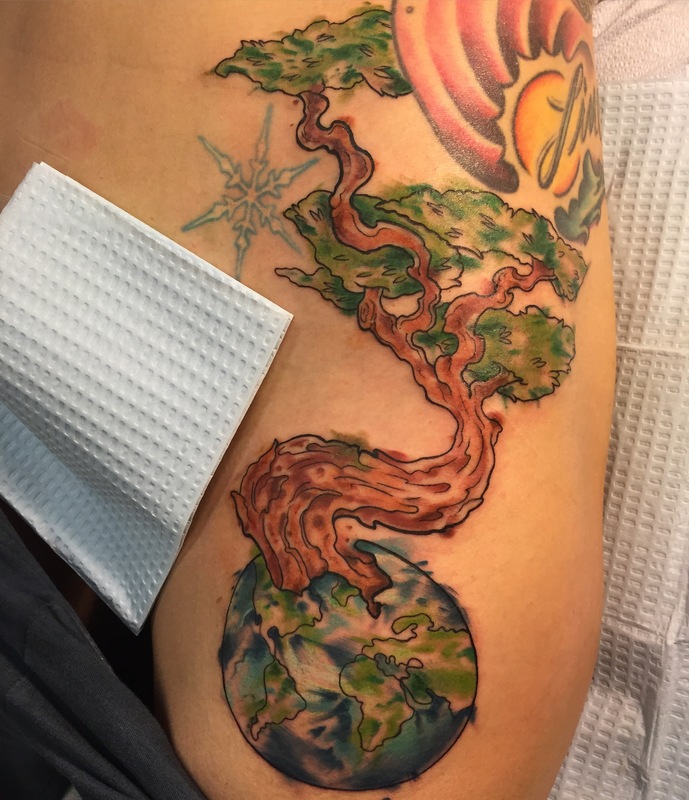 For years we have been serving the city with the watercolor tattoos in Pacific Beach and San Diego with our award-winning team of artists, but our Funhouse Tattoo: International Guesthouse takes that to the next level. 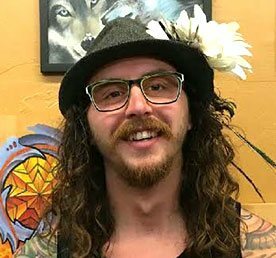 With world renowned artists that are temporarily housed at this parlor haven, the designs, portraits and realism tattoos that they can bring to life will blow your mind. Stemming from the most colorful cultures in the world, these incredible expressions that will be created will be nothing but life changing. 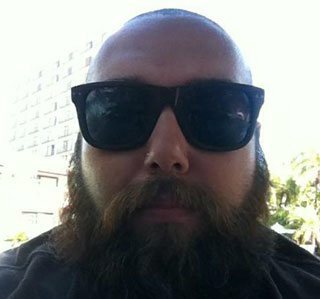 Most of our clientele for this particular style relates to women, however we often see men seek out this style as well. We love to provide these brilliant pieces of pieces to both locals and tourists visiting San Diego in search of the beach and souvenirs. So, what better way to commemorate the occasion by a custom-made watercolor tattoo by a famous artist from our International Guesthouse? Bring a lifelong piece home that is close to your heart, done by some of the best artists in the entire world. What could be a better icebreaker or conversation starter than that? 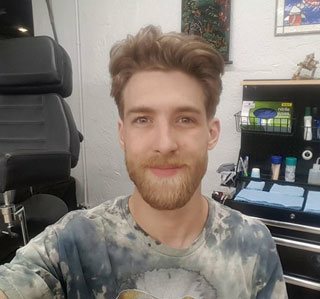 If you have been contemplating taking this permanent step in the right direction and are looking for the best of the best tattoos in San Diego, look no further. Come check out our location today and book in advance below!